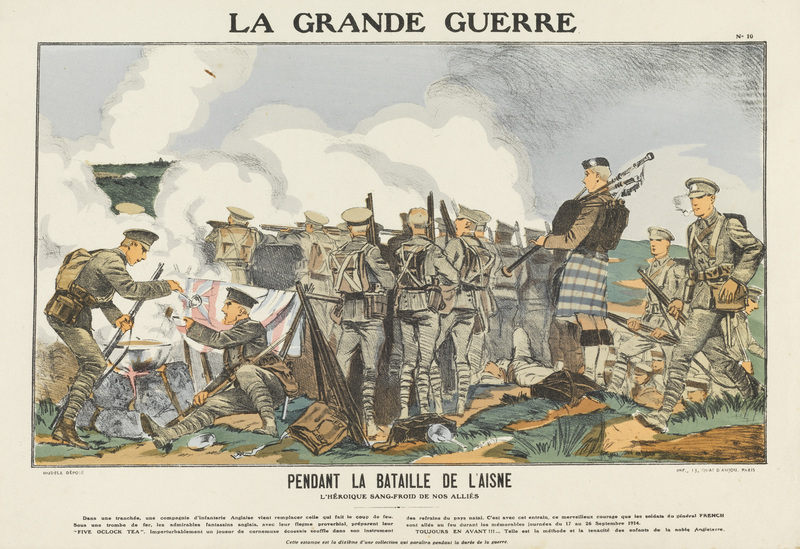 The Fitzwilliam Museum, Cambridge is marking the Centenary of the First World War with an exhibition entitled: La Grande Guerre: French prints of the First World War. 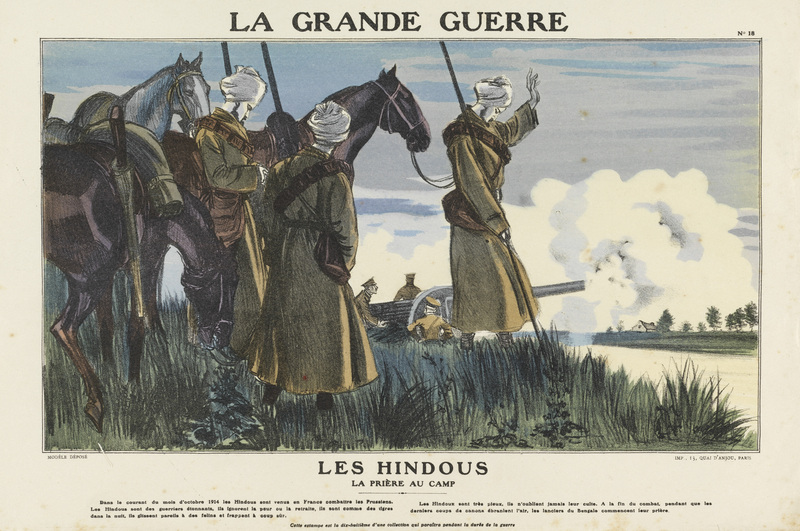 The display comprises 36 colour lithographs and woodcuts from the print series La Grande Guerre, produced in the first few months of the conflict. Published in Paris, the series took inspiration from popular genres of prints, such as the inexpensive folklore inspired images d’Épinal, produced in Épinal in the northeast of France. 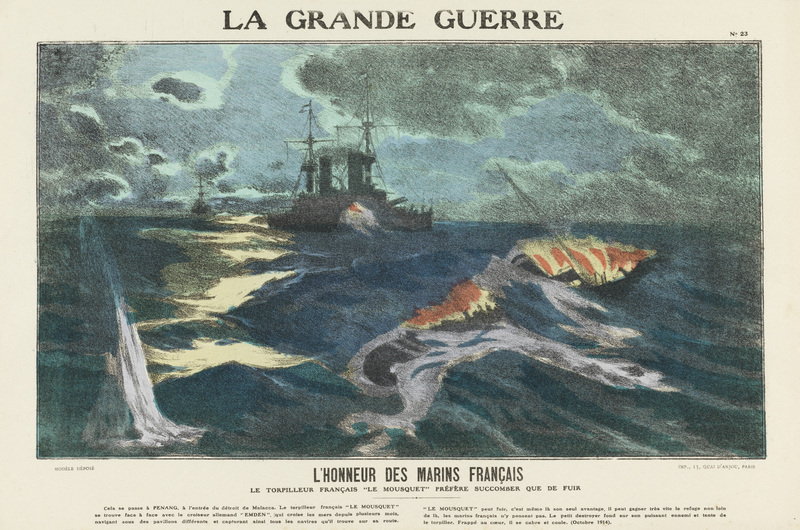 Many 1914-era prints were produced in this style, as they could capture the nation’s role in the war in an inherently French way. The stylised imagery helped maintain an element of distance from the increasingly appalling reality of the Western Front. Intense battle scenes are joined by images depicting relatively quiet moments in the front line, including English and Scottish troops taking a tea break and Indian soldiers at prayer. The prints are not official propaganda material, but are still very patriotic and the numbered series format encouraged the public, eager to commemorate the war, to continue collecting the set. The prints will be shown in chronological order, so that visitors to the gallery can experience a retelling of events from the perspective of France, from the taking of the first flag during the Battle of Saint-Blaise La Roche (14 August 1914) to the Fall of Przemyśl (22 March 1915). The exhibition is the first in a series of displays at the Fitzwilliam from 2014 to 2018 commemorating the Centenary of World War 1. The display runs from 20 May to 28 September 2014 and admission is free. 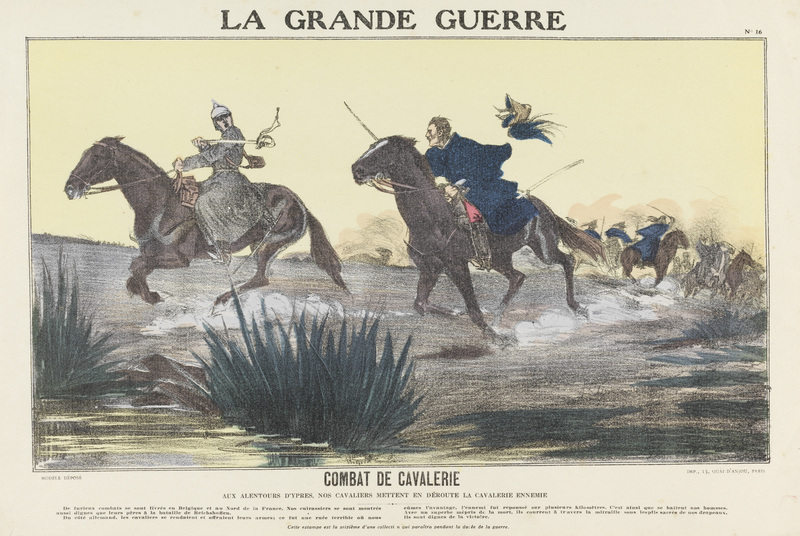 To find out more about La Grande Guerre at the Fitzwilliam Museum, Cambridge, click here. This entry was posted in Events, News and tagged 1914, 1915, Battle of Saint-Blaise La Roche, Cambridge, Centenary of the First World War, events, Fitzwilliam Museum, France, images d’Épinal, La Grande Guerre: French prints of the First World War, museums, news, UK News, Western Front, WW1. Bookmark the permalink.